Welcome to the 220th edition of Tranquility du Jour. Today’s show features upcOMing happenings and Upcycling with Tina Sparkles. My name is Tina Sparkles and I live in Austin, TX. 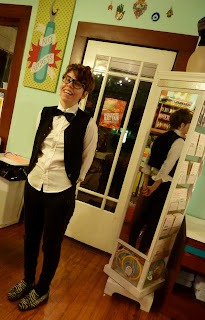 I am totally obsessed with fashion, sewing, crafting, drawing, dancing, teaching, DIY and creative activism. I teach lots of cool classes at a local sewing studio called the Stitch Lab and also teach Fashion Design at a local high school called the Griffin School. Check out my “Classes and Workshops” page for more details on my classes. 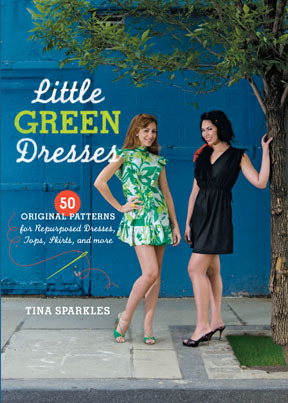 I also recently wrote a book called Little Green Dresses. It is all about how to make your own clothes with a special focus on pattern-making and refashioning with already existing materials. To find out more about the book and to see photos and whatnot, go to my “Little Green Dresses” page and look for it at your local bookstore or check it out on Amazon. In addition to teaching, I like to keep myself busy by organizing events and fashion shows as well as designing and working on art projects and activism. How can I practice upcycling this week? Reduce, reuse, recycle. Signature Style: TranquiliT is a line of layers in rayon made from organic bamboo. We are locally sewn and plant 150 trees each month while also donating a portion of proceeds to Nest and Tranquil Space Foundation. 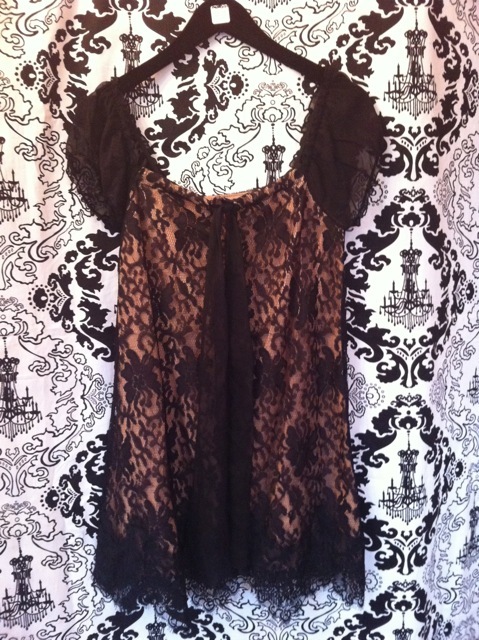 Featured item: 60s vintage slip coming this week to vintage/reclaimed. J'adore! Au Revoir: To close out the show, we’re playing Epic by Karmacoda. You can learn more about their music at karmacoda.com. Hey, thanks for another great podcast! And speaking of little green dresses, check out my sister's clothing company based in Queensland Australia. Have a great week in nyc!